Turkey Honeymoon vacation packages. romantic holidays in Turkey. With its warm summer climate and breath taking sceneries, Turkey is the ideal Honeymoon destination. 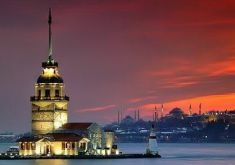 Magical and vibrant Istanbul, the lunar landscapes of Cappadocia, the ancient monuments of Ephesus, the vibrant resort of Bodrum, are just some of the romantic destinations in Turkey. 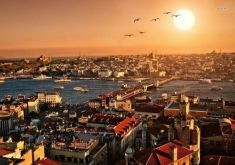 Turkey is dotted with ancient remains of palaces, amazing castles, turquoise waters, stunning Mediterranean coastline, just waiting to be explored. You can chose from one of our fully flexible predefined Honeymoon itineraries, or we will be happy to work with you in building a romantic Honeymoon vacation to fit your preferences and requirements. 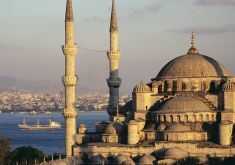 Discover Istanbul and Cappadocia with our all inclusive Turkey honeymoon vacation package. Our most popular all inclusive Turkey honeymoon package!